What do I need to know to start a medical practice? Should you start your own practice and be an entrepreneur or should you be hospital employed? For some physicians, the answer is crystal clear – you want to start your own practice. You want more autonomy to make decisions that will allow you to take better care of your patients. Starting a medical practice can be the most rewarding undertaking you ever experience, but it can also be exceedingly challenging. Below are some of the most common mistakes a physician makes when taking the plunge into private practice. The process of starting a practice should begin way before a physician finishes up his/her residency or decides to leave the employ of a hospital or another group. Do not put yourself in a position of urgency. As motivated as you may be to get your practice up and running, you will need to rely on the help of others – lawyers, real estate agents, etc. – who will likely not share your sense of urgency. If you don’t have 6 months to devote to starting your practice, you take the risk of having to see patients gratis if you intend on participating with third party payers. If you intend to open a concierge practice, the time consuming credentialing process will not slow down the progression, but you will still have to contend with multiple individuals and organizations (real estate, construction, lenders, technology, communications, etc.) to get the project done. Your MBA Advisor is your advocate as well as your watchdog to make sure everyone is completing the actions they promised to complete and in a timely fashion. The timeline with credentialing is at least 6 months. Without credentialing, give yourself 4 months. There aren’t many individuals, including physicians, who can start a new business without the support of a lender. Undercapitalization is the number one reason for business failure. 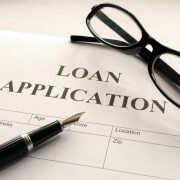 So, assume you will get to know your lender. You want to be working toward the same end. Too little money can sink the ship but too much money can also put you in the danger zone. Developing a financial ProForma is important in not only constructing the numbers but making initial decisions about how the practice will run. What services will you offer, what space will you need, how do you want the space fit-up, what payer mix will you have, how much will your EHR/PM cost, what about marketing, etc.? Calculate to the closest dollar amount your revenue expectations and then list all expenses. Divide the expenses in to what you will need before you open the doors, after you open the doors and operating expenses for the first year to include equipment as well as subject matter expertise (lawyer, accountant, medical business advisor). Project the worst, most likely and best case scenarios. Put together your last two years of tax statements and complete a Personal Financial Statement. Then you will be ready to go to the bank. Recruiting and hiring is a skill. Get help to ensure you bring in highly motivated staff that is as invested as you are. Until you are certain that an individual is a good fit culturally, can understand, demonstrate and abide by your vision and values 100% of the time, do not offer them a job. If you’re going to be in a fast paced practice, hire staff that can keep up with you. Hiring the wrong people can be extremely expensive considering how much you will invest in them to learn your IT systems, equipment, and workflow processes. More importantly, surrounding yourself with the right people will make you and your patients’ experience so much more positive. Hand holding a subpar employee is never advised. Think of the “opportunity cost” of this behavior. If you didn’t have to spend time with them, you’d have the “opportunity” to spend more time with your patients, your family, or doing anything else you’d enjoy. These are very exciting times when it comes to technology in healthcare. It is refreshing to know that we are on the path to improving the quality of patient care and the patient care experience through the use of technology. Healthcare has made it over the hump of understanding that the electronic health record (EHR) is a necessary part of bringing these improvements to fruition. The good news is that you’ve probably been through your first round of using an EHR. The next step, as you walk down the path to prepare to start a practice, is to choose the one that works best for you and meets all requirements. Don’t underestimate the value of what is going on in the community in which your practice will be located. Find out if there is an EHR that is prevalent in your area. You’ll probably determine that there are many products still being used in one geographic area. However, in planning for the future, interoperability is key, reporting is key, usability is key and patient engagement is key. In choosing your EHR, your choice of a Practice Management (PM) system is intertwined with the EHR decision. They must communicate with each other electronically, whether or not one vendor hosts the EHR and one vendor hosts the PM system or you host both within your practice. Make sure the electronic communication is seamless. It used to be that saying the phrase “medicine is business” felt extremely out of the ordinary. It may still elicit a few odd looks today. Medicine was medicine and business was business. Now, it is without hesitation that medicine is business. Where does that put physicians who have spent many years preparing to offer results driven care? Typically, behind the eight-ball when starting their own practice. Do not hesitate to work alongside and in cooperation with a healthcare business expert. Not just a business expert, a healthcare business expert. The healthcare arena is a beast of its own. Let an MBA Practice Set-Up Advisor help you slay the beast. We will devote the time, energy, expertise, and demonstrate the patience that this process requires. We will also wallow in the satisfaction you will feel when you launch your practice successfully. Questions about where to start? Ask our team! We’re happy to talk through your plans with you and answer questions along the way.